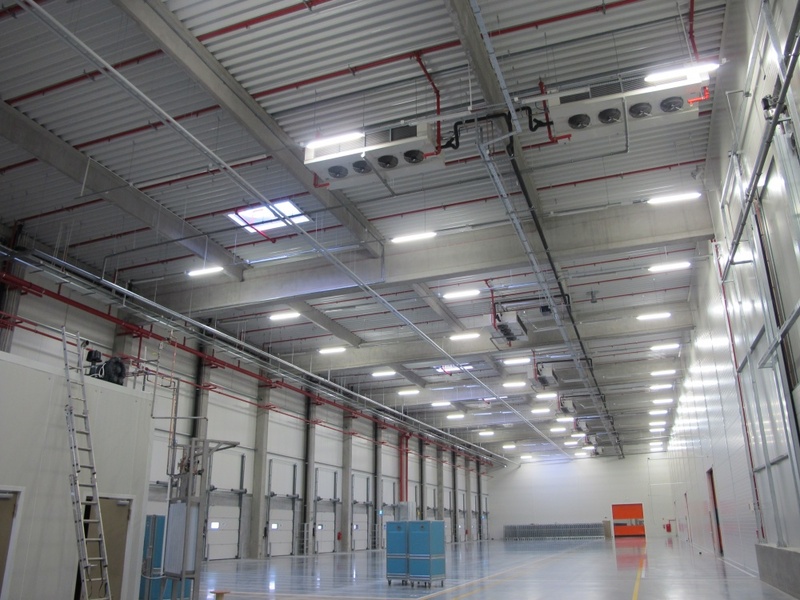 For this huge project the main target was to achieve the highest global COP of the refrigerating plant. So, we designed special dual air discharge air coolers and air cooled condensers very efficient in order to grant low fan motors energy consumption and low power consumption of defrost system. 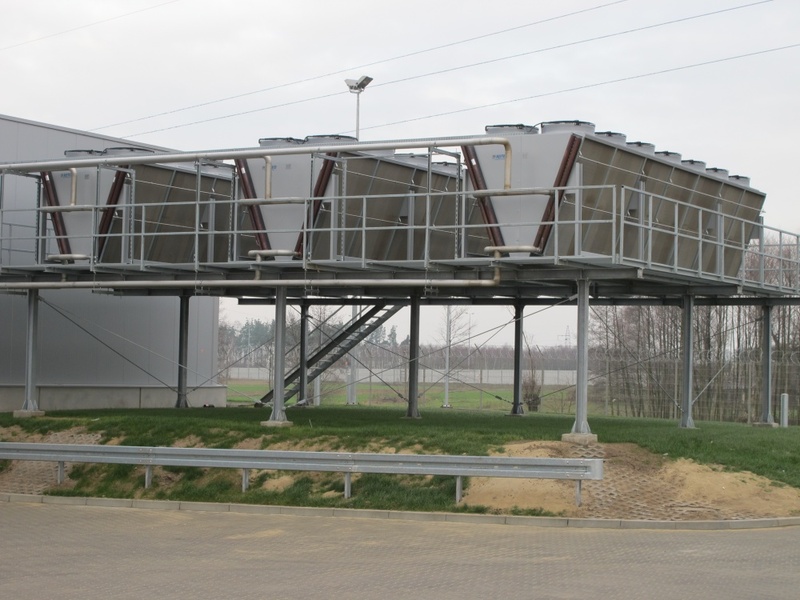 The condensers were equipped with adiabatic cooling system to achieve low condensing temperature even during summer when the ambient temperature is quite high. 47 pcs dual air discharge air coolers and 3 pcs V type RCVD condensers with adiabatic cooling system.